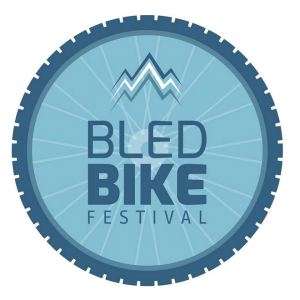 Registration and payment can be carried out on www.bledbikefestival.com Enrolments will be closed upon reaching 400 athletes for Bled Bike Epic and 600 athletes for Bled Bike. Marathon. Applications are open from the 1st of March 2018 from 12:00 am till the 22nd of August 2018 until 12:00 am. Registrations will not be accepted once the maximum number provided for has been reached. Online applications may be made only on bledbikefestival.com, by completing an application form with payment. Various forms of payment are acceptable, e.g. PayPal, Bank Transfer. Competitors in the Hobby category at Bled Bike Epic, which do not have a license, must pay a daily license at KZS in the amount of 10 €. The registration fee includes a personal race number, refreshments during the race, race pack, information and race classifications via SMS/email, printable certificate via Internet and a voucher for the pasta party. Classifications will be published on www.bledbikefestival.com and from there it will also be possible to print a personal race participation certificate. The paid registration fee will not be refunded. Substitutions of registered participants: will be accepted until 16th of June 2020 for a fee of 20 Euro. Modifications regarding the selection of the preferred distance, short or long one, will be accepted until 16th of June for a fee of 15 Euro. In case of race cancellation due to force majeure registration fees will be refunded. Sunday, 26th of August 2018 from 6:00 am to 7:30 am The start numbers can be collected only by the participant on presentation of a valid ID (passport, identity card, or driving licence) in original form, and for members of the FCI/UCI membership cards are also required. Photocopies or other types of document are not acceptable and collection cannot be undertaken by third parties. Participation is limited to athletes of 16 years and older on the short distance (Bled Bike Marathon), and to athletes of 19 years (on the day of the competition) and older on the long distance (Bled Bike Epic). Every participant agrees to accept unconditionally the terms of the liability disclaimer of the organization committee. Participation is at every athlete’s own risk. The organizers reserve the right to modify conditions of participation, the distances and their profiles as well as the invitation and regulation to the competition. Helmets are mandatory for the entire duration of the race for safety reasons. Cellular phone is recommended to have it with due to remote trails of marathon. Part of the course takes part on public roads and therefore the Slovenian traffic code must be observed for mountain bike competitors. Non-observance of the regulations will lead to disqualification. The official award ceremony will take place at 3.00 pm in the finish area. The first 5 in overall category of Bled Bike Epic and Bled Bike Marathon are entitled to money prizes and practical rewards. The winners have a right to their prizes only, if they follow all the rules. The prizes are not handed out at a later stage. The race management reserves the right to exclude participants from the competition. The use of bicycles fitted with any type of electronic aid is strictly prohibited, and will lead to disqualification or exclusion. Time limit for longer, 104,4-kilometre Bled Epic course with 3.147 meters in elevation difference. An unforgettable event, full of experiences, new acquaintances and epic competition.